Statue of Our Lady of Murillo, 105 cm. 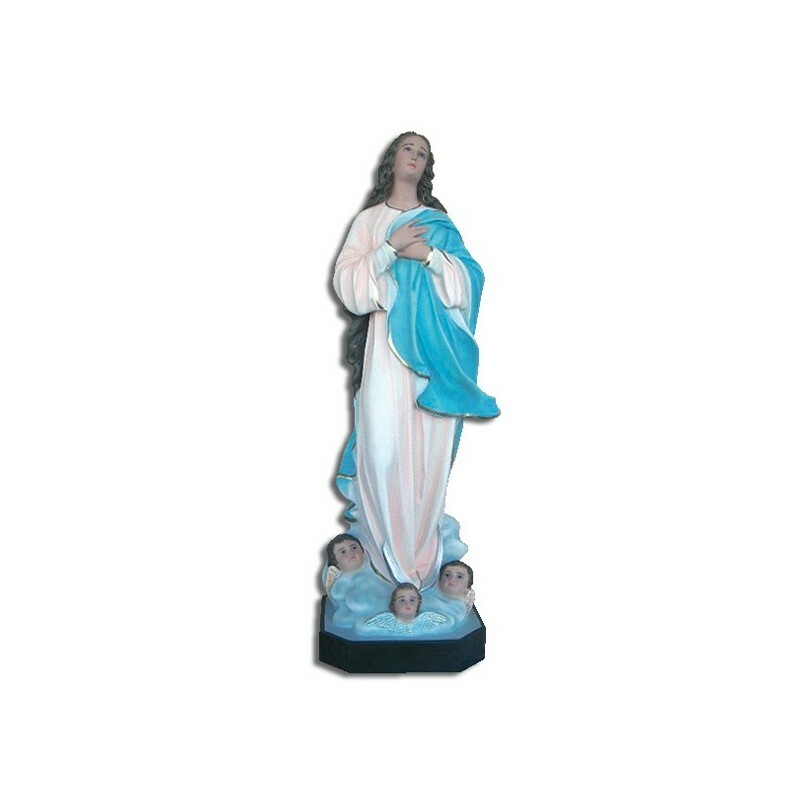 Statue of Our lady of Murillo, of fiberglass, cm. 105, handmade in Italy. 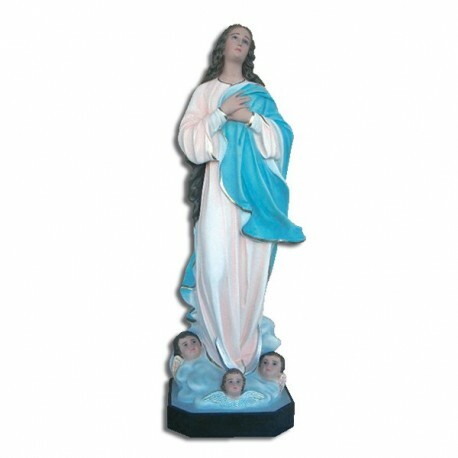 The informations about the Assumption of Mary, hail from the IV and the V century. The “Passage of the Virgin Mary”, narrates that the Virgin asked Jesus to tell her the day of his death. Christ kept the promise and on the second year after the Ascension, during the prayer,, he saw The God’s Angel with a palm in the hand who told him “In two days it is going to happen your Ascension”. Mary called Joseph from Arimatea and the others disciple and she announced them the Christ’s death. On Sunday, the Holy Spirit and Christ descended on the Apostles on a cloud with many Angels. Jesus received his mother’s soul and the Agels sang the Song of Songs. The Lord told “Like a lily between the nettles, so it is my dear between the maidens”. All the participants fell and they di dot move for a hour. When the light turned off, the Soul of the Virgin ascended to the sky. In the “Passage” it is narrated that the inhabitants of Jerusalem took the body of the Virgin to burn it, but they suddenly lost their sight and they could not move. The apostles took the Virgin’s body, they brought it to the Giosafat valley and they put it in a sepulchre. How the “Passage” tells, a light envelopped them and, while they were falling, the Holy Body rose to the sky. The cult of the Virgin is widespread. She is commemorated on the 15 of August. In the classical image, the Virgin is on a cloud with the Angels, while she is rising to Heaven. The most famous image is that of the Spanish artist Bartolomé Esteban Murillo (1617-1682).